You know what I love most about the milieu? The level of our discourse. Magpie Killjoy’s lobbed a short trollish broadside at Markets Not Capitalism calling it “racist” and “disgusting.” Of course he’s couched his hodgepodge assembly of emotionally-charged misreads with a few notes about how he has no fundamental objection to market anarchism per se and that many of the views inside Markets Not Capitalism are legitimately anarchist, but nuance doesn’t bring the pageviews and rallying the troops against teh ancap scourge–tendrils to be found in your very collective!–does. There’s not much to work with here but I’ll throw down for the heck of it, if only because there’s a thread of reasonableness to his objections, however inaccurately they fit his target. 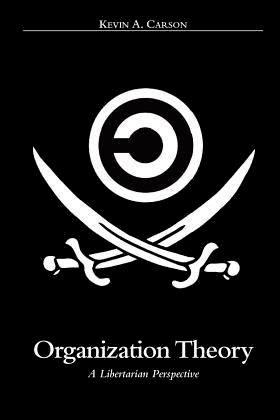 We can all agree that any society that allows centralized power is not anarchist. But more than that any society that allows power relations in any form, decentralized or not, is not anarchist. True anarchists do not even countenance diffuse or interpersonal lines of control, abuse, and constraint. Here’s the deal though, the economic realm is but one facet of a society; not every problem can or should be solved within it. We draw such distinctions imperfectly, but they can be an extraordinarily good rule of thumb. If someone spites you at a party we’d hopefully frown on getting your friends together and burning down their farm. The point is it can be a good idea to have social norms that place limits on the community’s purview and delineate appropriate realms of reaction and conflict. Sad to say but if someone says something a smidgin racist we shouldn’t necessarily go breaking their kneecaps in response. In fact, not to police anyone’s rage, but that’s almost certainly an overreaction that can lead dark places. I by no means mean to equivocate with something as institutional as Jim Crow or suggest that we shouldn’t do our best to navigate these issues, but it is worth noting exclusion from spaces can and frequently does become contentious within our community. What constitutes legit grounds for exclusion, who gets to decide to expel someone from a space and how that expulsion will go down… these are issues our communities deal with constantly. For all the good that we do, cattiness and messed up stuff does happen. Part of what minimizes it is that we do generally default on respecting certain divisions of property and categories of behavior. Of course while they’re often useful it would be a profound mistake to make too much of these distinctions. As with that old self-described “capitalist” Voltairine de Cleyre I’ve always stood on the “if you’re starving take bread” side of things. All good anarchists are utilitarians. We cannot afford to rule out any tactic or approach wholesale. In this manner I probably differ to some degree with a few of the other authors published in Markets Not Capitalism who default on what I consider the naive language of “rights” and speak strongly on the limits to our approaches. I doubt they’re as absolutist in practice as their rhetoric waxes, but it is somewhat regrettable. That said, it must be noted that similar deontological stances on tactics like nonviolence and veganism carry wide currency within the social anarchist milieu. As implicitly absolutist positions on tactics and behavior they must be called out and countered, but they do also deserve reading in a charitable light. For just as there is serious content to the arguments for veganism and nonviolence so too is there serious content to the argument that segregation can be countered without recourse to state violence or even strong violations of personal property. Woolworth’s lunch counters weren’t desegregated by Title II. The sit-in movement did that. From the Montgomery Bus Boycott onward, the Freedom Movement had won victories, town by town, building movements, holding racist institutions socially and economically accountable. The sit-ins proved the real-world power of the strategy: In Greensboro, N.C., nonviolent sit-in protests drove Woolworth’s to abandon its whites-only policy by July 1960. The Nashville Student Movement, through three months of sit-ins and boycotts, convinced merchants to open all downtown lunch counters in May the same year. Creative protests and grassroots pressure campaigns across the South changed local cultures and dismantled private segregation without legal backing. Let’s be clear here: Would these sort of nonviolent sit-ins be enough to crack every conceivable racist society or situation? Obviously not. And any discussion of Jim Crow that fails to take into consideration the diffuse but systemic effects of private violence (the KKK as well as a broader culture of white supremacy) and centuries of state interference in society by gun and dollar that created the entire social context of segregation would be a waste. Even if we were to posit a more right-libertarian deontological ethics, there’s a strong argument to be had that the effect of historical injustice and coercion completely invalidates any existing title to property and wealth in our society. But Charles and Sheldon still have an extremely legit point here that shouldn’t be lost: While there’s room to argue about whether something else would be more effective and just what the ramifications might be of violence or more aggressive disregard for property, we can at least take comfort that history has proved that sit-ins work quite well — even against freaking Jim Crow level segregation. Their main point is that we don’t need state violence to fight grassroots racism, and that’s a point every anarchist should encourage. Magpie’s “critique” is that while Sheldon heroically takes right-libertarians head-on, arguing that trespass is justified even on their own terms, he shies away from opening the can of worms of more aggressive violence or property violations on the scale of say destroying spaces or forcibly invading personal homes. But such hesitancy should be understandable at the very least. Social anarchists recognize these kind of distinctions all the time in practice. When folks formed a bloc and confronted someone with a history of abuse at their home they still deliberately avoided invading that home. It’s totally valid for someone to find “we have problems with your space’s exclusion policy so we’re going to burn you to the ground” to be an ethically troublesome escalation and a worrying precedent. It’s true that Sheldon drives home the emphatically non-violent character of such sit-ins (to his article’s original right-libertarian audience), to help establish how unassailably ethically justified such actions are. There’s a danger here of implying that violation of property can be justified only through its nonviolent character. Sheldon immediately publicly repudiated this misread of Magpie’s in no uncertain terms and has also acknowledged how problematic it can be to speak even abstractly about the most ideal tactics a subjugated group might choose, “it’s too easy for me to sit safely in Conway, AR, and tell people in bad situations what it is right or wrong for them to do with respect to an oppressive situation.” That should really be the end of it. I’m of the opinion that ideological pacifism can be racist in effect, yet even if that characterized Sheldon’s piece there are differing uses of the term “racism” and I don’t know about you but I’m not going to go around calling pacifist anarchists like Tolstoy and Utah Phillips disgusting racists and loudly decry any intentionally diverse compilation of Anarchist material that happens to include their writings as “racist” and “despicable” as a result. I mean, props to any troll that does that I suppose, but please, a little consistency. A second tiny article in Markets Not Capitalism focuses on explaining how we don’t necessarily need to use the state to win environmental victories and that illegal direct action can get the goods. That there are downsides to legislative approaches and feasible bottom-up alternatives is a pretty elementary anarchist point. Magpie of course nonsensically characterizes this as arguing that the foremost enemy of an environmentalist in our present context should be environmental law and our efforts should be focused on repealing it. Beyond being an insanely willful misread it should go without saying that this would, of course, usually be a terrible prescription. Although when viewed as a one-liner in the proud anarchist tradition of troll statements with serious substance below the surface (“property is liberty“/”property is theft“, “anarchy is order“, etc) it would also be kinda admirable. Reformist tactics occasionally have their place; when a tree-sit implicitly works to pressure the passage of environmental legislation one way or the other that can be strategically valid. While I have no patience for Social Democrats like Chomsky telling us to wait another century and vote Democrat, I’ve long argued the strategic utility of things like Food Stamps while the state continues to exist. 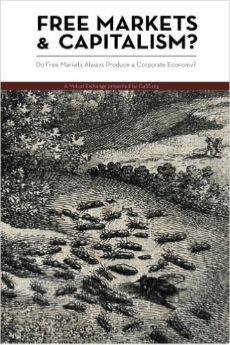 Many market anarchists agree. And even when we fully oppose something we should still be sane about our priorities. However such calculations are complex to say the least and there should obviously still be space for critiques of statist means. It’s more than a little ridiculous for Magpie to lob charges of “reformism” at someone coming at the issue by critiquing statist means. I do not think that word means what you think it means. One might be tempted to laugh if the whole affair wasn’t so transparently in bad faith. 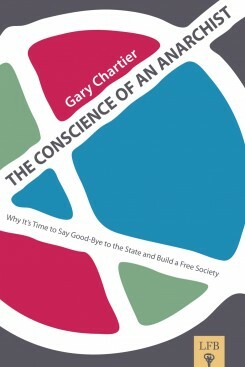 Kevin Carson has been writing the clearest and most substantive economic and systems analysis the anarchist movement has seen in possibly a century. His work is the backbone to much of Iain McKay’s AFAQ. He’s built a global reputation over a decade by painstakingly revealing the various mechanisms of state coercion underpinning every facet of capitalism from workplace hierarchies to the class system and attacking the multitude of private forces complicit in it even in the most intangible of ways. …Magpie apparently spends half a minute skimming Kevin’s site and decides that the argument that capitalism is built on historical violence and wouldn’t be sustainable without constant government violence disrupting and manipulating people’s free association is a redefinition of “capitalism” to mean merely any form of government interference. Well okay. If you’re looking for anything to confirm your fervent hope that we’re all capitalist apologists (maybe to avoid having to actually consider the basic mathematical realities of economics), I’m sure you’ll be able to drum something up. Even if it’s chortling about a contributor’s last name. I began this response by talking about centralized power. The danger of processes by which those with something get more and those without are forced to continue going without is always a legit issue. Feedback loops are important. Ferreting them out, understanding them and addressing them is central to the anarchist project. Even things like making contacts more easily because you already have contacts fall within our purview. Economies of scale, logjams in communication and barriers to entry are basic building blocks of power and oppression and left market anarchists have been practically the only ones writing about these mechanisms, much less constructing or discovering viable counter-mechanisms. Folks like Kevin Carson have done far more to explore and solidly flesh out the anarchist analysis than anyone in the social milieu. Which is a shame because there are important interpersonal and cultural issues that social anarchists were historically more sensitive to, yet have done very little to map out. Further, as with anything the precise mechanisms of enforcement (or encouragement or discouragement) always matter. No one should be able to get away with merely saying “my economic system is no making money with money” or “no runaway accumulation of power” because that doesn’t speak one whit to how precisely you mean to stop such. “We’ll have townhall meetings and vote on who we don’t like” or “we’ll just beat up and take the stuff of anyone who does something like let a friend rent their car for a week in exchange for kombucha“. The anti-market peanut gallery has offered next to no substantive thought on this front, while market anarchists have written volumes on the particulars of the particulars. Possessions, exchange and thus markets can be brought into existence by a range of possible delineations about what to enforce with what means. Respect for property/possession titles does not necessarily depend on coercive means, as reputation/goodwill mechanisms are also viable. This is discussed at length in several pieces in Markets Not Capitalism. Heck Jeremy Weiland’s got a bit essentially cheering on prole sabotage of and theft from the wealthy as a core and vital free market mechanism. But of course just as economic feedback loops are not the whole of the problem of power relations, market mechanisms cannot be the whole of our solution. Throughout pretty much everything he’s written Charles Johnson has worked tirelessly to drive home the reality that markets will be the result of what we put into them. Markets are an organizational tool. And while building the world we’d like to see might involve markets in certain economic facets of society, it will still and should involve activism, action, cultural and interpersonal struggles. Freed markets are part of a platform on which to build a better world. A necessary condition perhaps, and no small step, but hardly the end of the story. This reality is strongly and explicitly stated in Charles’ and Gary Chartier’s lengthy introduction to Markets Not Capitalism and comes to bear implicitly and explicitly throughout. …So of course Magpie declares that we mean the opposite. I mean it’s just staggering. While it always behooves us to work to improve the presentation of our ideas, the nature of anti-intellectualism is to do absolutely no work to empathize with others’ arguments or challenge your own perspectives and then lounge back in the defense that they haven’t persuaded you. 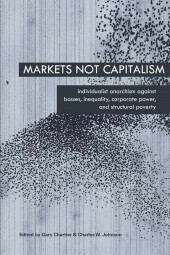 If there are in lines Markets Not Capitalism on which an extremely hostile and suspicious anarcho-communist might leap and topics touched without the entirety of “The Orthodox Left Market Anarchist Position” discussed in nuance, that is not surprising. It was never meant as “A Complete FAQ to Left Market Anarchism for Social Anarchists In Their Preferred Language Never Making Complex Points“. 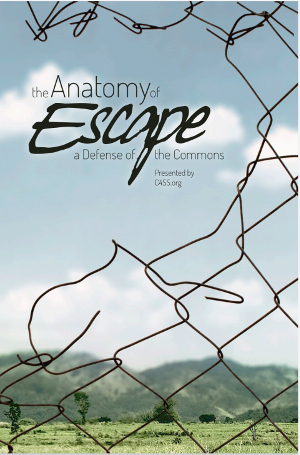 The book is a scattershot collection of writing from the left market anarchist milieu. Like Daniel Guerin’s No Gods, No Masters, Robert Graham’s A Documentary History of Libertarian Thought, and countless other anthologies it seeks to provide a wide sampling of discussions and partial perspectives on numerous topics rather than a complete map. It goes without saying that completeness is impossible. Hell, the editors faced the herculean task of keeping it even partially accessible to both social anarchists and the right-libertarians we argue so tirelessly to convert or at least diffuse. I’m told that Magpie was offered a chance to air his views on C4SS in a feature before a wider audience with as much space as he needed to back up these haphazard charges and defend them in the face of logic and evidence. He of course declined. I wish this were surprising. His “review” reads less as an attempted critique than it does a desperate, floundering, out-of-depth attempt to cherry-pick two brief discussions glancing on side topics, disingenously phrase things in the most uncharitable way possible, triumphantly slander the whole of the compilation as a result, and get away with it by appealing to the most churlish of jingoistic instincts among the anti-market crowd. Christ, I’m sick of being embarrassed on behalf of anarcho-communists I expect better from. Since he’s gone ahead and publicly labeled the entirety of a compilation I was part of “racist” I’ll return a barb: Doing nothing more than confirming and reinforcing your audience’s preconceived notions may win you some popularity but it’s pretty much the lowest form of writing possible. As the mortifying paucity of economic thought rampant in social anarchist circles comes under the light (“yay communes and sharing we’ll just talk out whatever problems arise in meetings”) some have increasingly taken to vicious outbursts, searching for anything to mischaracterize or popularize against. This kind of unfair, borderline abusive behavior is what first drove me from anarcho-communism and prompted my exploration of market anarchist thought so many years ago. And for all the ways such behavior poisons our discourse and culture I can at least take comfort that it is still driving people into left market anarchism all around the world. I’m a share-bear at heart; I only support markets because I see them as the best tool available to build an egalitarian mass society of abundance. And even though we argue that they’re counter-weighed and addressed by other mechanisms there are certainly dangers to certain functions within market dynamics and I would love to see those so abjectly afraid of markets seriously engage with us about them. Or even pose alternatives that don’t crumble under the mathematical limitations of large-scale collective decision-making et al, without throwing up their hands and declaring that sitting in the mud / leeching from friends is good enough. Maybe then the dialogue will have opened to the point where market anarchists can start presenting critiques about the ways the amorphous collective mechanisms of anarcho-communists open the door to runaway interpersonal power dynamics.